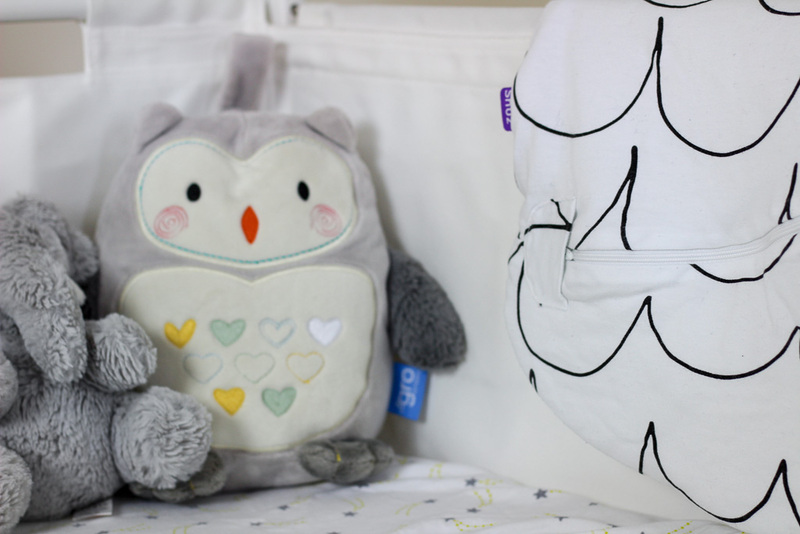 Sleep is a big topic when it comes to having a baby, from preparing for the lack of sleep to where the baby will sleep. It was something Arran and I had discussed at length and as direct co-sleeping wasn't for us, we looked at the next best thing. 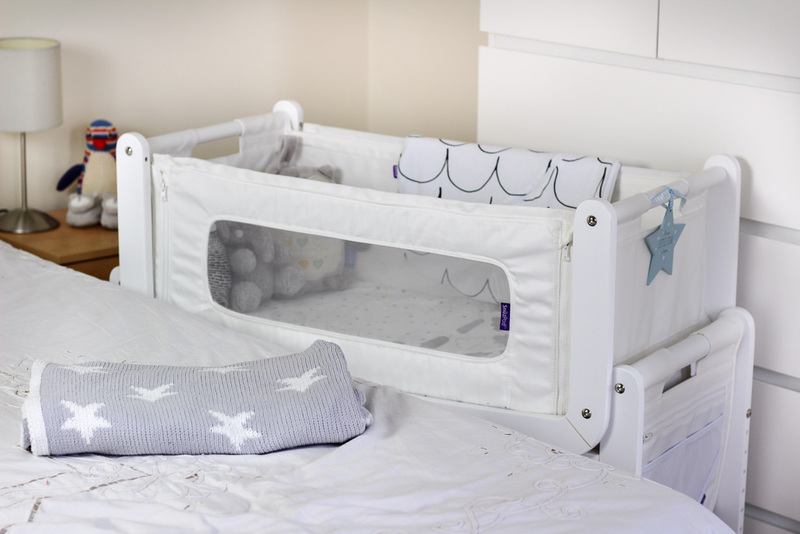 We decided on the Snuzpod2 3 in 1 Bedside Crib which has been one of our best decisions when it has come to big baby buys. We decided on the Snuzpod because it was slim, sturdy and fitted on to a wide range of adult bed heights. We also wanted something that would fit our style and of course something that would last baby for a few months before being moved into a cot. Arran shared a post on Building The Snuzpod back in September when we were getting the final bits together before the big day. Once he had built it, I was ready to make the bed up with tiny baby sheets for the very first time. 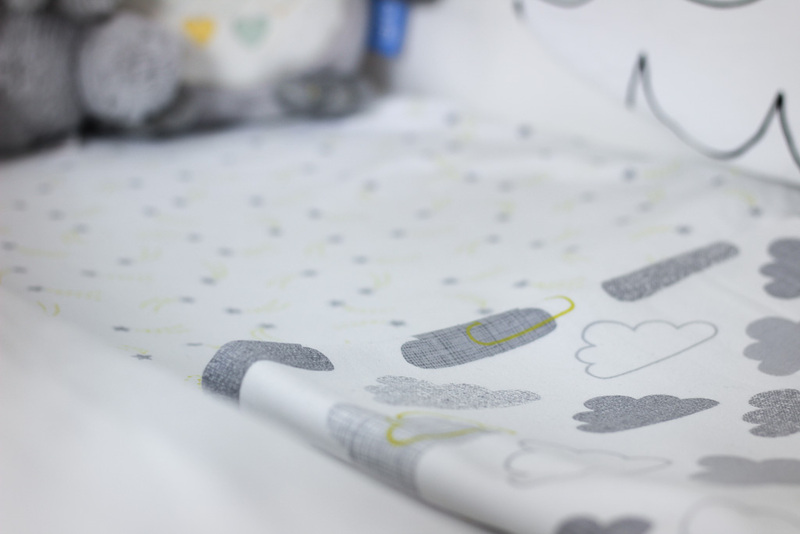 All our Snuz bedding is from the Cloud Nine collection and we also have the Snuzpouch which makes night changes super quick and easy. 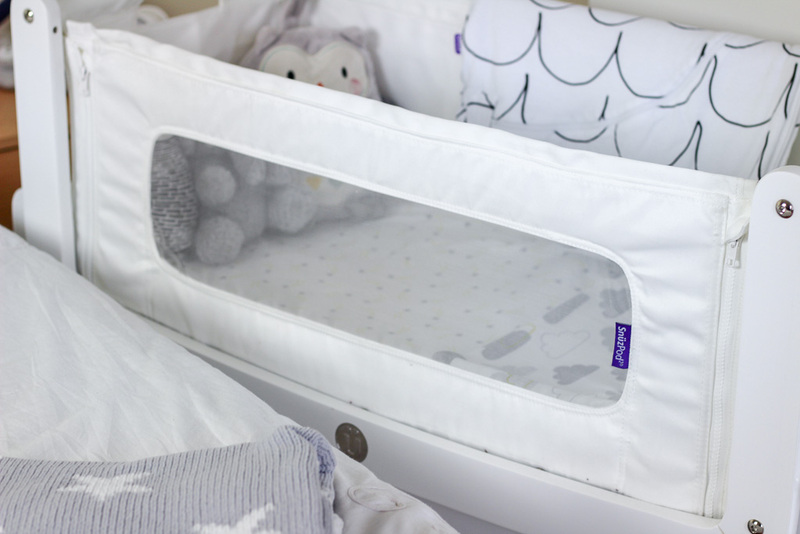 The Snuzpod2 3 in 1 bedside crib allows you to sleep, feed and be closer to baby in those first few months. 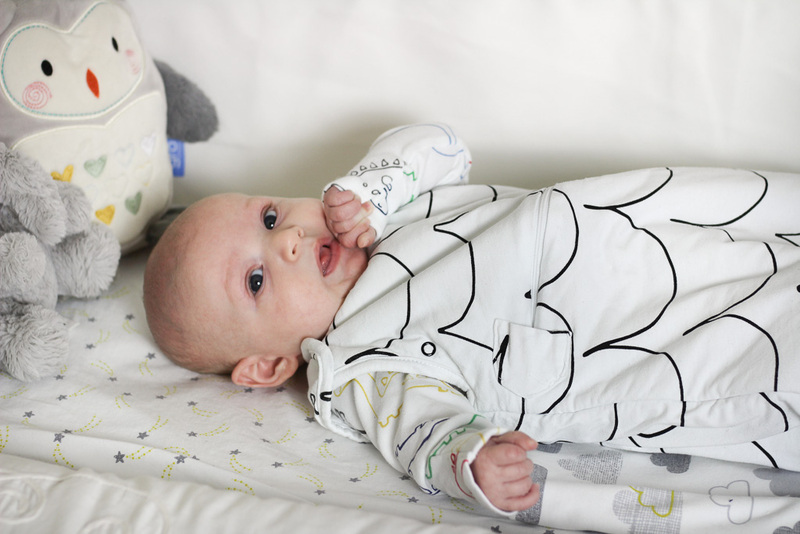 Designed from birth through to six months, the crib has three modes enabling you to be close to baby day and night. We had my own bassinet as a baby in our living room and we kept our Snuzpod in our bedroom as we wanted that day and night bed difference for him. The crib has a zip down mesh wall for easy access during the night for feeds or to soothe bubba although you may just lay there staring at the tiny human you created instead which is what I did those first couple of weeks. We actually keep our crib at the end of our bed now and have done since he was a few weeks old. We found it was easier for both of us, as we could then both look down at him when he made the slightest squeak or just stare, mesmerised by his little cheeks. Included is the luxury mattress which is quilted and has good support for baby. In the beginning we used our Sleepyhead Deluxe+ Pod but we have been starting to phase this out recently as he is getting so long! Joshua has slept well in the Snuzpod from the beginning so we're hoping this eventually transfers to the cot when we've decided on one to buy. As I mentioned above, the design is quite sleek and it's the minimalism about it which I love. There is space either side to keep extra blankets or muslins, underneath storage and you can also buy the storage pocket which keeps everything you need through the night in arms reach. For us, there are no negatives. We loved our Snuzpod in the beginning and three months down the line, we still do. Joshua is starting to get just that bit too big for the bassinet but we still have space in the Snuzpod. Had we bought a moses basket for him to sleep in, in our room then we would be looking at cots a lot sooner than we have been. I will always cherish the memory of placing Joshua inside his Snuzpod for the first time after having it empty for weeks, awaiting his arrival and I can't wait to have that feeling again when we one day bring home a sibling for him and use our Snuzpod all over again. I wish I had invested in this for Ava! It sounds amazing and the mesh walls are a great idea so the baby can see you. We have a moses basket for Ava which she refuses to sleep in so she usually co-sleeps. Really should have bought this! I was really considering this but then my sister offered her Chicco Next 2 Me crib which I think is pretty similar ! I love the idea of having them close but not wanting to co-sleep - that's exactly how I plan on doing it. This looks like a perfect little bed for babies! I love the mesh! It sounds like the perfect option for a first bed / crib. I like the idea of being able to drop the side. We had the snuzpod too and absolutely loved it. Dougie was in his until he was 6 months, I wish it could have fitted him in for longer as I loved having him next to me, and it made night feeds and soothing so much easier. I agree with you, I don't have a single negative thing to say about it!